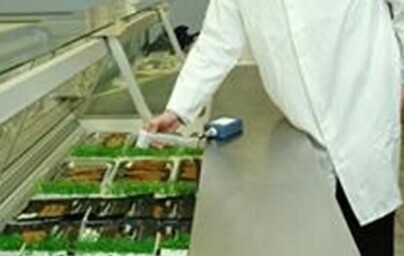 Food Safety Management legislation is now based on the traceability of food, and control of any potential hazards, in order to limit the possibility of food poisoning outbreaks. It is based on HACCP principles ie. a system where monitoring checks and controls are put in place with the aim of reducing or eliminating potential food safety risks. It is recommended by the Food Standards Agency (FSA) that those involved in the implementation of a HACCP system have a minimum of Level 2 training in Food Safety and HACCP. 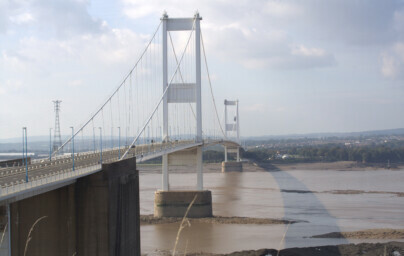 Established in 2003 and based in Cwmbran, South Wales, MB Training offers a variety of courses including Food Safety, HACCP and Health and Safety at all levels. MB Training is an accredited training centre with CIEH, HABC and RSPH. We specialise in delivering courses on-site at clients’ premises, with flexible days and times to suit the clients’ needs. A consistency of quality and approach is guaranteed, and results over the past eight years reflect this in an overall pass rate of 98%. Between using a tennis racket to mash potatoes and the host of other hygiene concerns, the council fined the directors of the two bakeries involved. .Contact us for your training needs before it is too late. 54% of takeaways flouting allergy law. Four in five were not keeping a record of the allergens in their food and only one in 10 were able to actually produce their record when asked.70 percent did not signpost where a customer could find information on the allergens in the food. Contact us for your Allergy training. From 28 November 2014, trade to trade food businesses in Wales come within the scope of the Food Hygiene Rating (Wales) Act. Under this extension to the scheme, businesses such as food manufacturers and wholesale providers who sell food to other businesses will, for the first time, be given a food hygiene rating following their inspection by a local authority food safety officer. Contact us for HACCP training to help improve you score. The owner of a food outlet in Radyr has been prosecuted by officers from Cardiff’s Environmental Health section, fined a total of £3900, ordered to pay costs of £400 and a victim surcharge, following persistent breaches of food hygiene regulations. In addition, A Prohibition Order was made preventing him from managing a food business premises. From 13 December 2014, food businesses in the UK will have to follow new rules in labelling pre-packed foods and non-prepacked (loose) foods. This is part of the European Food Regulation coming into force. The new rules require food businesses to provide information on the presence of any of the 14 listed allergens, if added or used as ingredients in food. Contact us about the new Level 3 Allergen course. We are one of only a few independent Training companies to be able to offer the new ‘ International Level 3 Award in Managing Allergens in Catering’. Prompted by repeated concerns that courts lack consistency in their sentencing approach, often resulting in fines that are disproportionate to the financial resources of offenders and/or undermining the seriousness of offences, the new guidelines aim to give a clear framework to the courts. The guidelines are intended to send out a stark message that non-compliance will be met with very stiff financial penalties that are intended to have a real economic impact on organisations. A Port Talbot manufacturer has been fined for safety failings after an employee suffered serious injuries when her head became trapped between two machines. 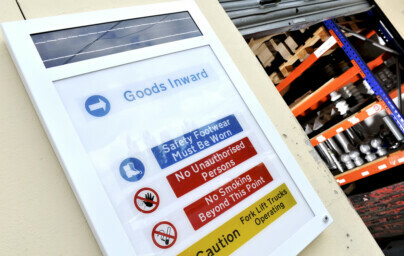 Did you know the legislation regarding COSHH Health & Safety Signage has changed? Hazardous Substances are used more often than you might think. Hair dressers, Dry Cleaners, Bakers, Engineers – make sure you comply with the law. COSHH safety signs have been changed and by 2015 the old style signs will be no longer be legal. Keep your company safe and up to date. We are running a level 3 HACCP Course Feb 2019. Please contact us for more details. MB Training (Mike) is now a member of TiFSiP – The Institute for Food Safety Integrity & Protection. Mike is a Food Safety examiner for a major awarding body (this will not have an impact on training course we offer). Mike is a member of the CIEH Advisory service (this will not have an impact on training course we offer). New fines come into force 1st Feb 2016. the new fines cover both Health & Safety along with Food Safety. Make sure you have the correct training.